Approximately 4.5" tall x 2" wide. 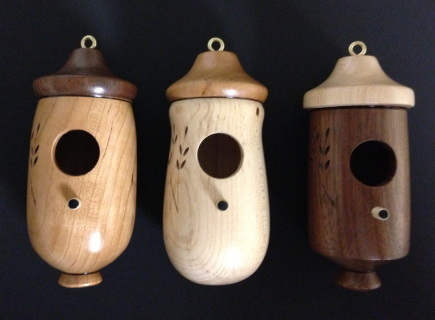 Each hummingbird house has its own personality and no two are alike. Shapes and styles may vary.